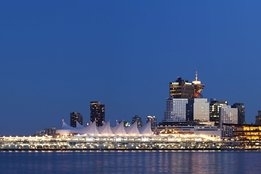 Plans to bring create a new liquefied natural gas (LNG) bunkering facility in Vancouver, Canada have taken a step forward, with WesPac Midstream announcing its proposed $150 million LNG terminal has filed for its Environmental Assessment Certificate. It is understood the 45-day process will begin April 2. It is envisaged that the Tilbury Pacific LNG marine jetty will be located on the Fraser River and deliver bunkers to both coastal and ocean-going vessels. "The world is turning to natural gas as an energy alternative to coal and oil," said Peter Gallenberger, Tilbury Pacific project manager. "Exporting LNG through the Tilbury Pacific jetty will help support the environmental goals of countries that lack Canada's wealth of energy options, while also helping the shipping industry as it shifts from bunker fuel to natural gas." But highlighting the difficulty LNG’s environmental credentials still face when it comes to CO2 emissions, Green party leader Andrew Weaver said the move would amount to $6 billion in tax breaks and subsidies to fund projects that were not inline with its own CleanBC plan to reduce carbon pollution.